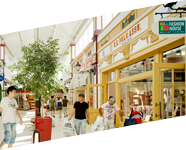 FASHION HOUSE Group, a leading player in the European outlet sector, appointed JLL as an exclusive consultant for the leasing of FASHION HOUSE Group projects in Russia. 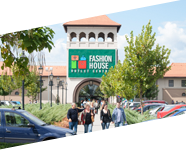 FASHION HOUSE Group is a developer and operator of FASHION HOUSE Outlet Centre Moscow – the first fully enclosed scheme of this type in Russia. The scheme offers customers top quality international and domestic brands, available all year round for 30%-70% less than original prices. After opening of the centre’s second phase on 4th November 2016, it will have a GLA of over 20,000 sqm. The second phase, which is committed to be leased in 78%, will be home to more than 30 brands and foodservice space will grow from approx. 400 sqm at the moment to almost 2,000 sqm. The scheme’s third phase is planned. 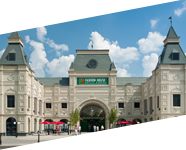 Moreover, FASHION HOUSE Outlet Centre Moscow is one of the first retail properties in Russia that have been designed, constructed and managed with full respect for rules of sustainable development. The scheme was awarded the BREEAM certificate. 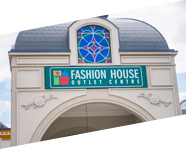 FASHION HOUSE Group is also developing a new outlet centre in St. Petersburg. With total GLA of 20,330 sqm, this outlet will become home to 120 brands.